Manufacturer & Supplier of Stainless Steel 304 Pipe Flanges, SS 304 Slip on Flanges, Steel UNS S30400 Lap Joint Flanges, Stainless 304 Blind Flanges Exporter in India. We are the established manufacturer & exporter of Stainless Steel 304 Flanges that have been made in order to live up to the customized expectations of our esteemed clients. 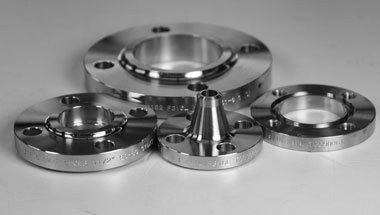 We manufacture these Stainless Steel 304 Flanges using well defined processes that allow these to also function in elevated temperature services. Also featuring internationally advised wall thickness. We offered range of SS 304 flanges is stringently tested on various parameters of quality for ensuring flawlessness and defect free. SS 304 Pipe Flanges widely appreciated for less physical weight, corrosion resistance and reliability these flanges find wide application in Chemical, Refinery and Oil & Gas industry and other industrial applications etc. Stainless Steel 304 Flanges Manufacturer, SS 304 Plate Flanges, Steel WNR 1.4301 DIN/ASME Pipe Flanges, SS UNS S30400 Socket weld Flanges Suppliers in India. Kazakhstan, Tunisia, Sri Lanka, Canada, Venezuela, Chine, Algeria, Ghana, Israel, Azerbaijan, Mozambique, Democratic Republic of the Congo, Argentina, Australia, Egypt, Dubai, Turkey, Cameroon, Indonesia, Africa, Houston, Brazil, Ethiopa, Russia, Iran, South Africa, Germany, Mexico, United States, Iraq, Saudi Arabia, London, Sudan, Colombia, Vietnam, Morocco, New Zealand, Bahrain, Kuwait, Uganda, Thailand (Bangkok), Nigeria, Angola, UK, Italy, Trinidad and Tobago, UAE, Peru, Jordan, Malaysia. Istanbul, Abidjan, Bethlehem, Abu Dhabi, Accra, Dakar, Bamako, Port Harcourt, Addis Ababa, Aqaba, Tel Aviv, Zaria, Nairobi, Byblos, Bulawayo, Tripoli, Muscat, Lagos, Dammam, Ouagadougou, Doha, Kinshasa, Omdurman, Fez, Durban, Yaoundé, Casablanca, Alexandria, Harare, Singapore, Khartoum, Tehran, Benin, Mogadishu, New York, Kampala, Lusaka, Maiduguri, Data from the UN, Antananarivo, Maputo, Conakry, Cape Town, Manama, Dar es Salaam, Kaduna, Subra al-Haymah, Rabat, Lubumbashi, Amman, Riyadh, Kolwezi, Cairo, Freetown, Giza, Douala, Brazzaville, Mecca, Algiers, Ibadan, Jeddah, Jerusalem, Luanda, Sharm el-Sheikh, Kano, Cairo, Hong Kong, Beirut, Pretoria, Colombo, Dubai, Soweto, Johannesburg, Port Elizabeth, Mbuji-Mayi.